Jorson & Carlson stock False Clamp Pins for Polar paper cutters. Our false clamp pins are manufactured to OEM specifications and MADE IN THE USA. 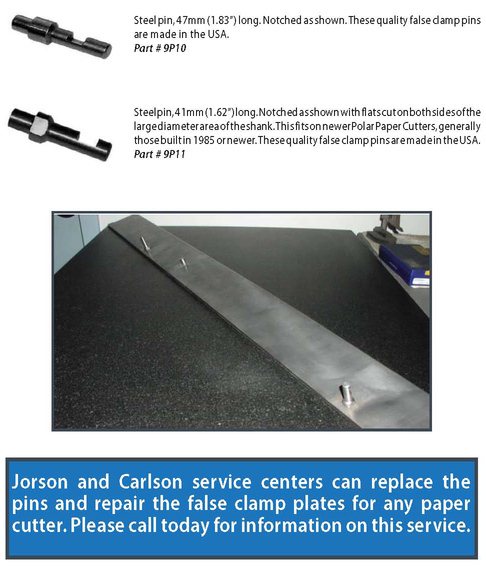 All 6 of Jorson & Carlson service facilities can replace the pins and repair the false clamp plates for any paper cutter.